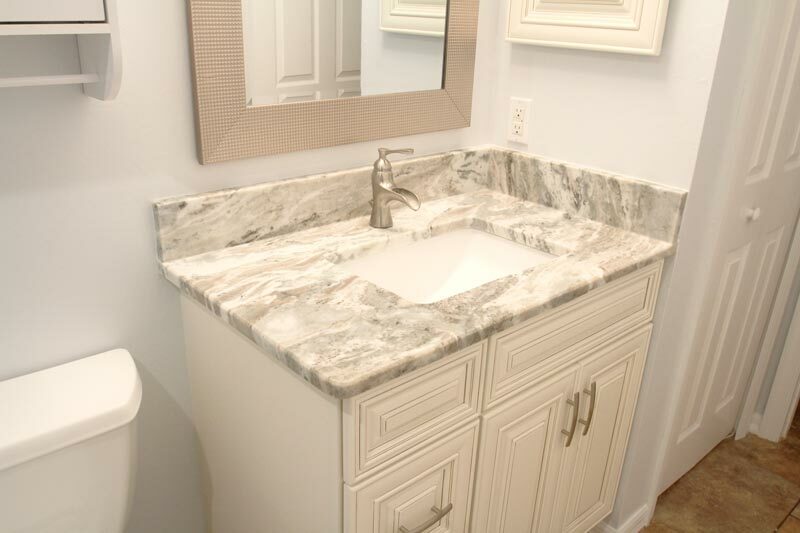 Our Cape Coral client's guest bathroom remodeling project. 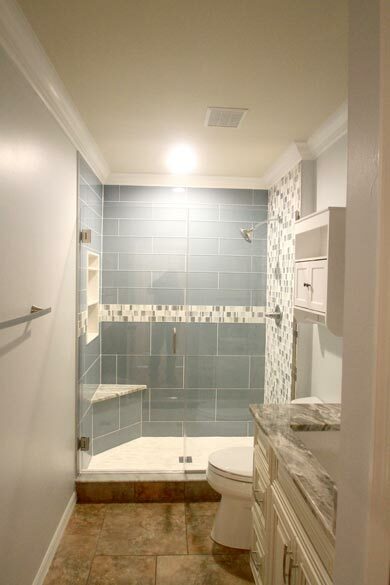 Guest bathroom remodel before final shower glass installation in Cape Coral, Fl. 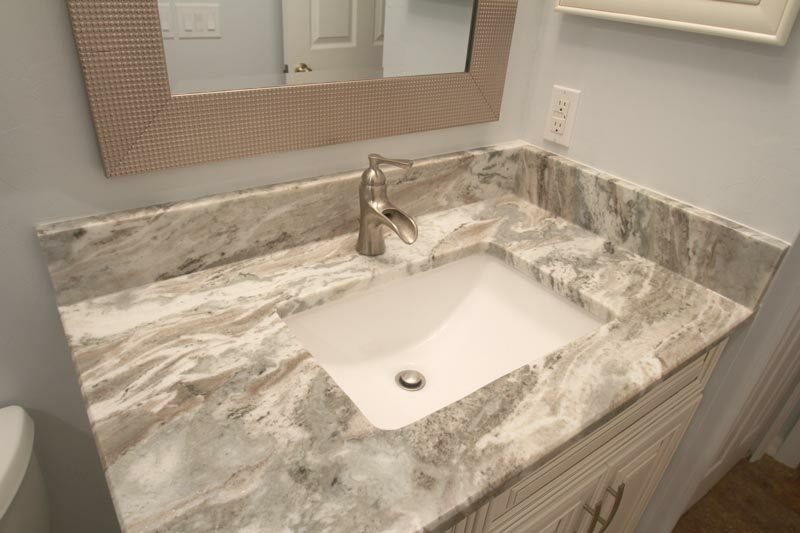 Installed new bathroom vanity cabinets and marble countertop with undermount sink. Added wall cubby for bathroom essentials and corner bench. 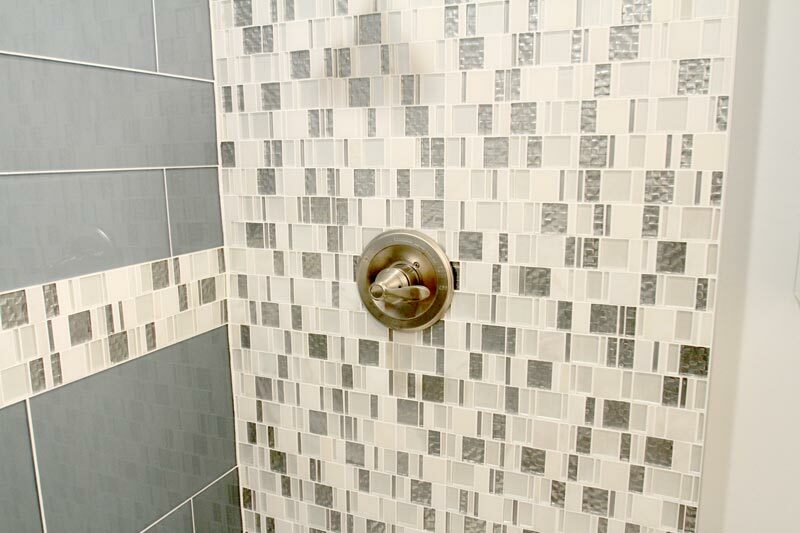 Glass mosaic tile accents the shower. 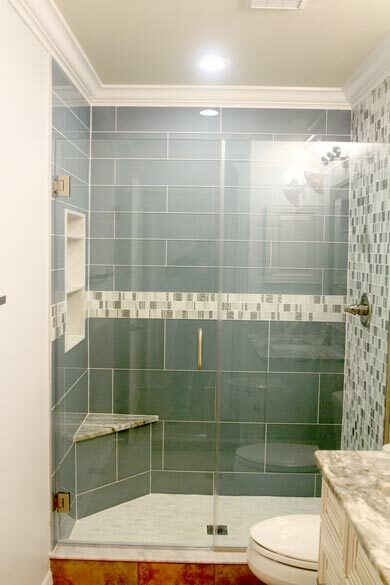 Shower stall is accented with glass tile. 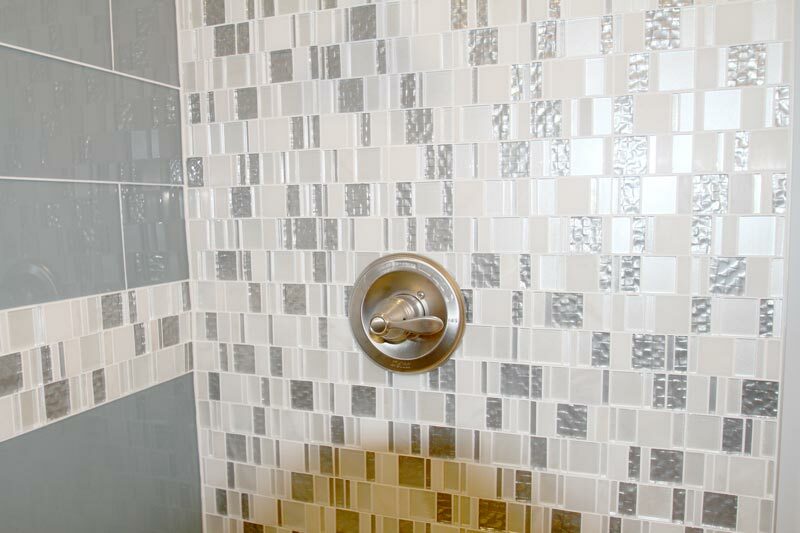 Brushed nickel hardware accents the bathroom shower and sink. 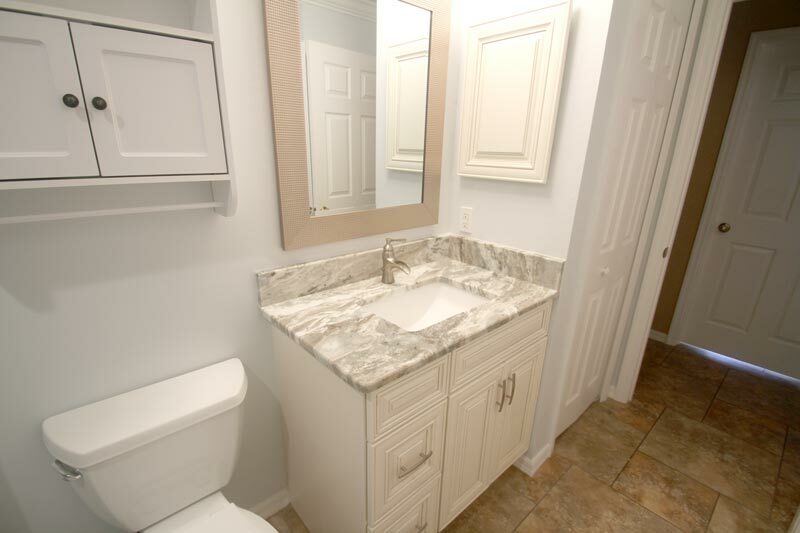 Newly painted panel doors and linen closet complete the look. 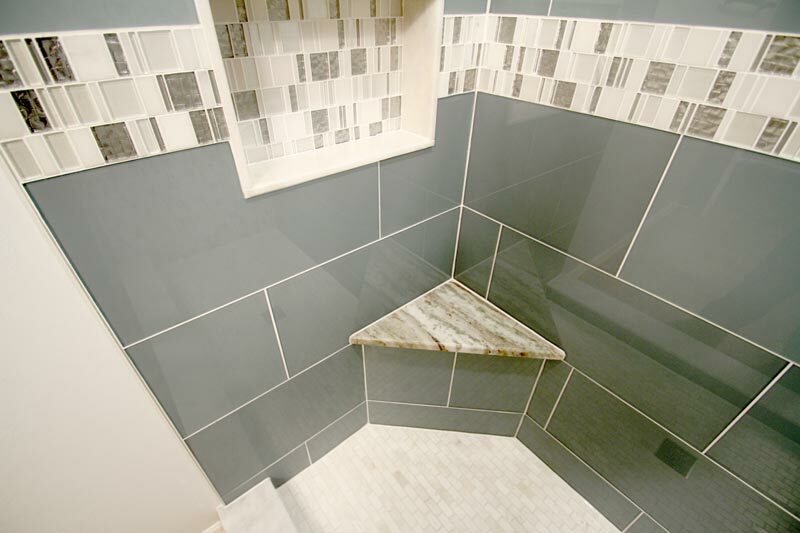 Marble tile on the bathroom shower floor. 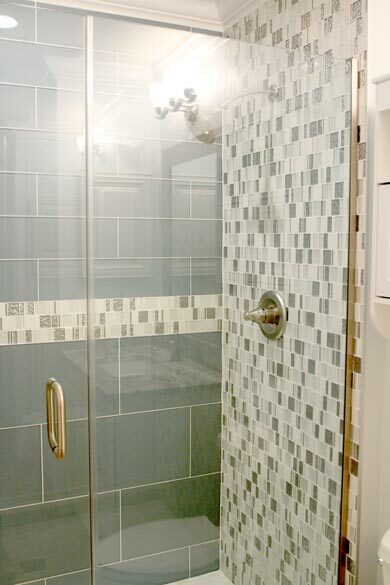 Close-up view of the shower cubby and large glass tile. 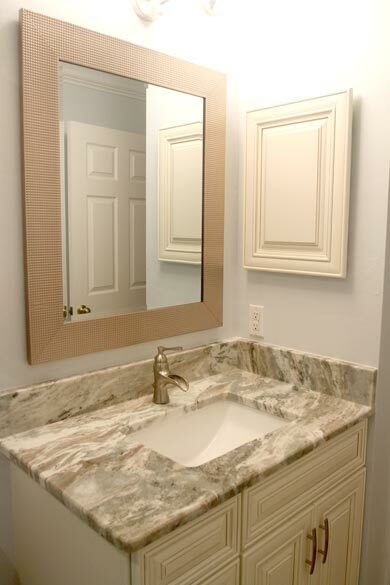 Installed mirror above the vanity. 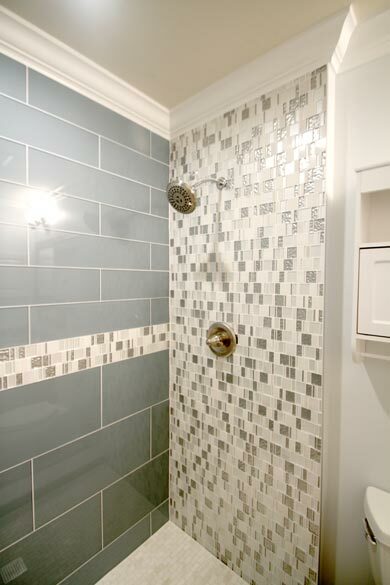 Close-up view of installed glass mosaic tile. 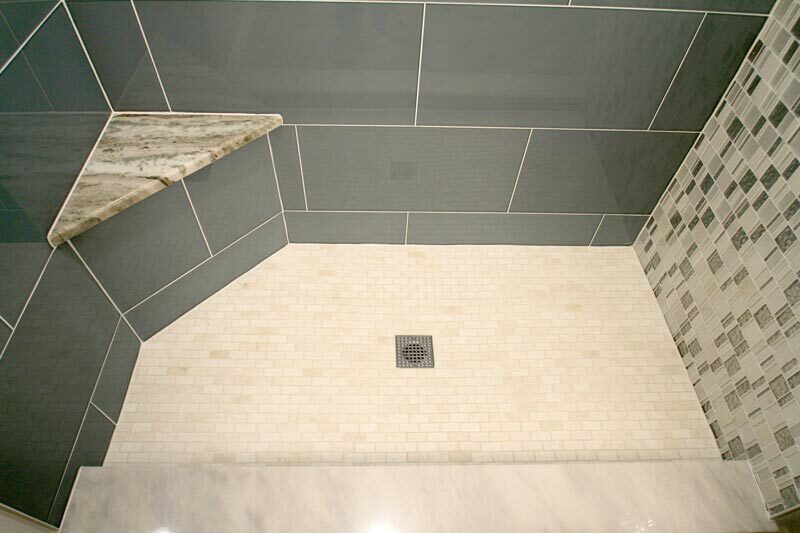 Another view of bathroom shower tile install. 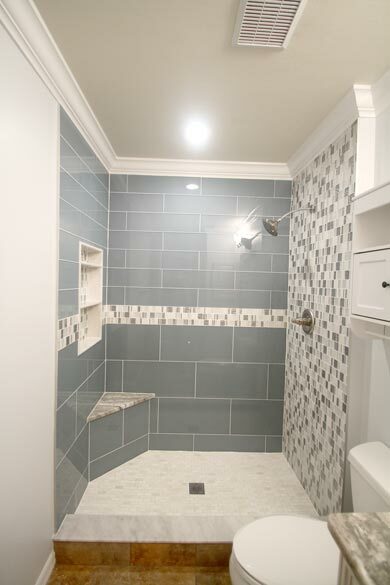 Crown molding installation accents the bathroom shower of this Cape Coral bathroom. 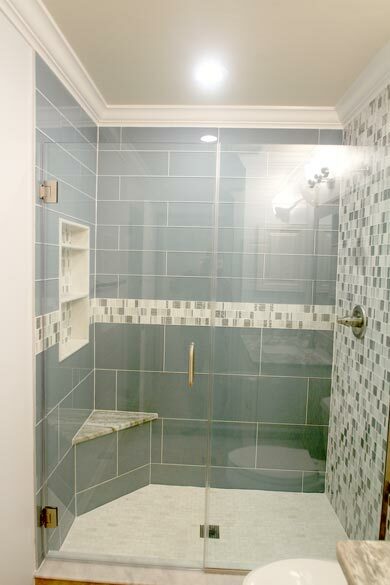 Bathroom view from the shower stall. 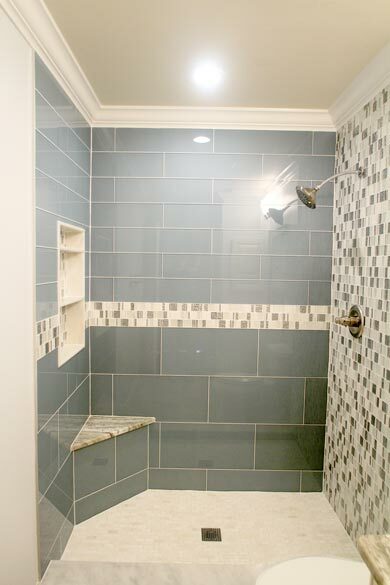 8 by 24 glass tile installed at shower top and 12 by 24 glass tile under the mosaic border. 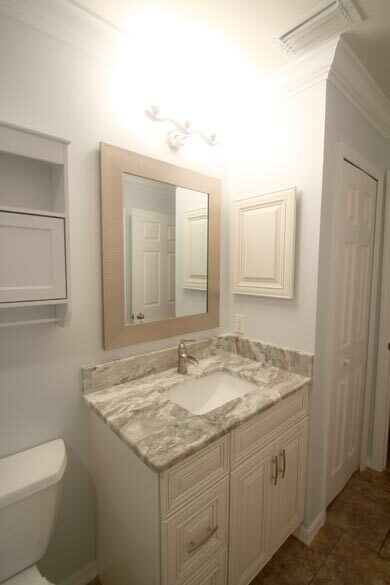 Bathroom vanity cabinet, lighting and crown molding. 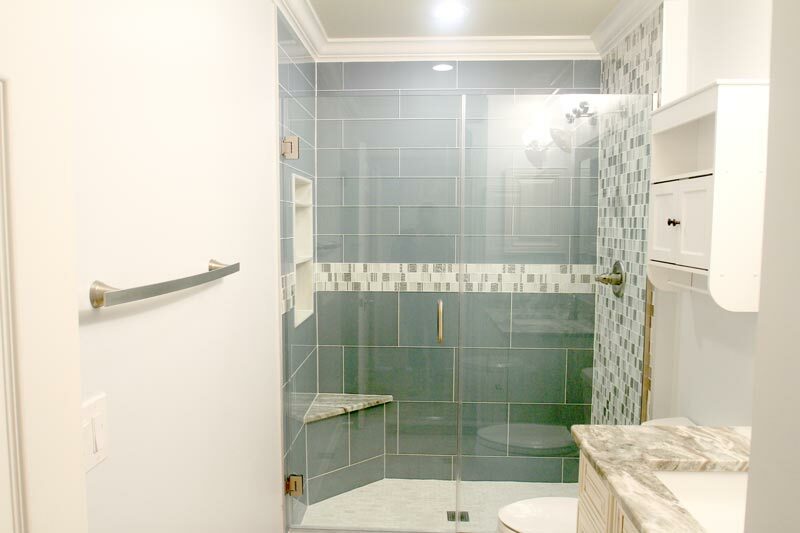 Beautifully, finished guest bathroom remodeling project by Distinctive Contracting LLC. 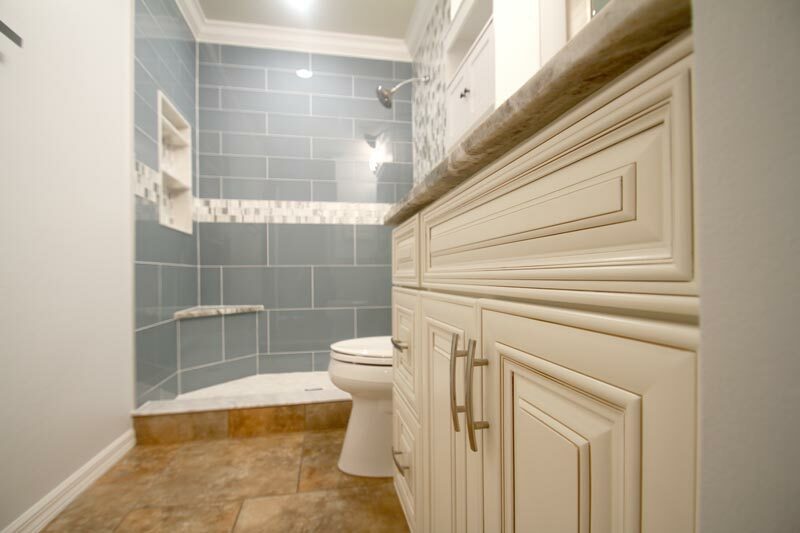 Call us today to get started on your bathroom remodeling project at 239-677-1247. 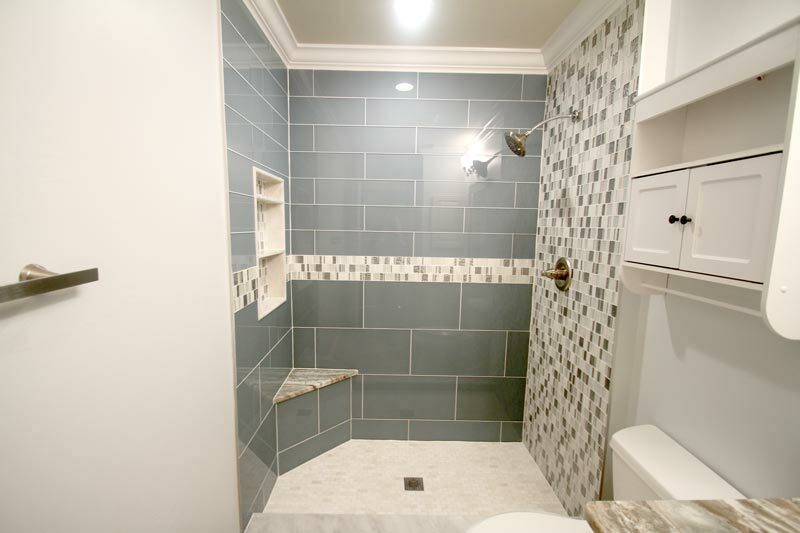 At Distinctive Contracting, we take pride in delivering a quality job. 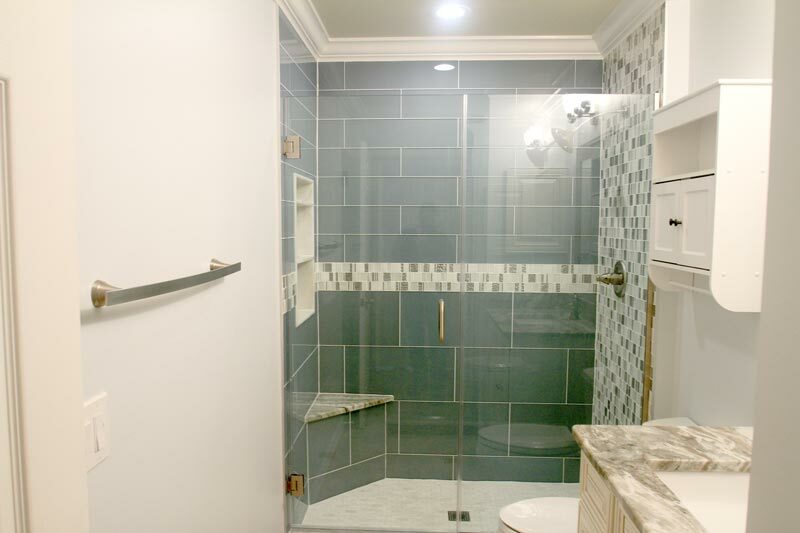 On this guest bathroom remodeling project, we were also hired to work on our client's master bathroom. 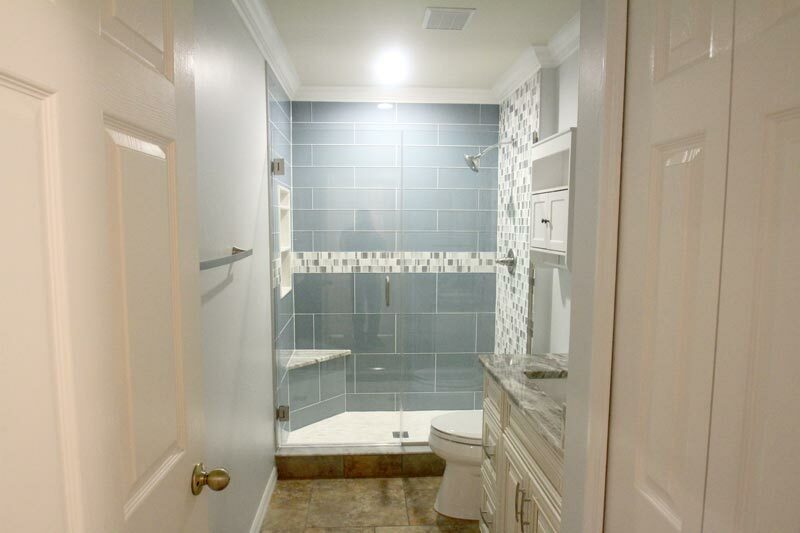 After completing our client's Cape Coral master bathroom remodel, we also remodeled their guest bathroom. 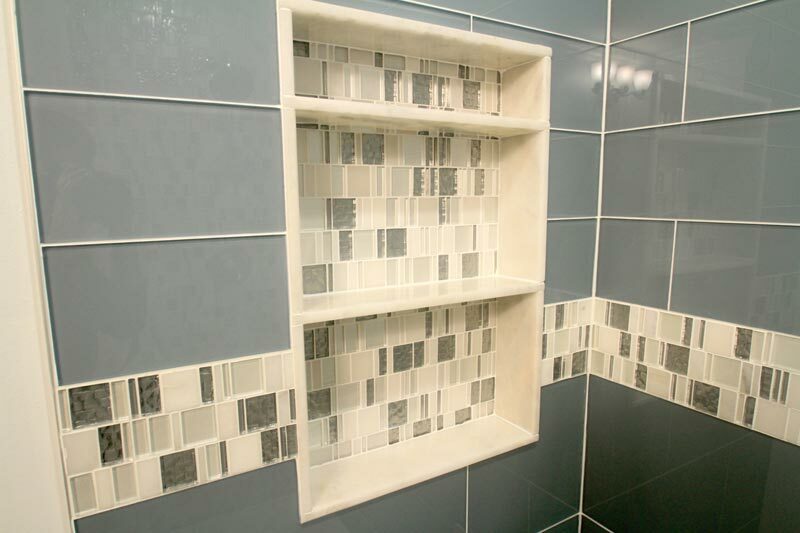 Having a satisfied customer partner with us on another project and recommend us to their friends is the highest form of compliment we can receive. We are thankful for the opportunity.